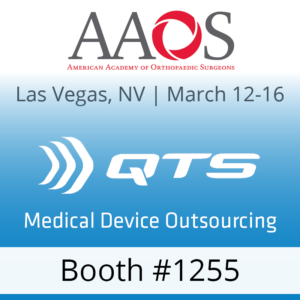 QTS will be exhibiting at the American Academy of Orthopaedic Surgeons (AAOS) Annual Meeting with our Cretex Medical family! We look forward to connecting with attendees about our wide breadth of medical outsourcing solutions. More information about the meeting and exhibition can be found here.